The aim of the ELD mandate is to make the roads safer by tracking drivers’ hours of service in a way that cannot be manipulated like paper logbooks could in the past. Fatigue is one of the main contributors in commercial trucking accidents, so limiting the number of hours drivers are on the road is a major focus of the ELD mandate. 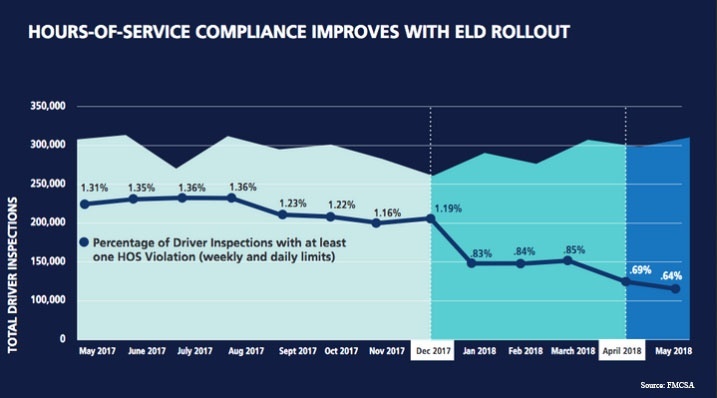 A report released by FMCSA showed a sharp decrease in HOS violations immediately following the ELD mandate coming into effect. While all parties agree that the mandate is positive for keeping the roads safer, many organizations have had problems with the devices themselves and the enforcement of the regulations. 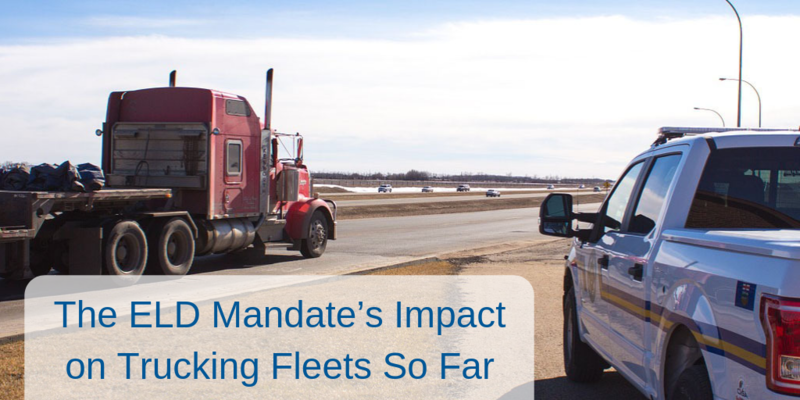 One of the major issues that came alongside the ELD mandate was problems with the devices that were supposed to be tracking drivers’ HOS in order to comply with the rules. The FMCSA rules actually allow ELD manufacturers to self-certify that their devices work for logging HOS and all other pertinent information. As drivers and the FMCSA later found out, a certain number of the devices were sub-par and could barely be used. While they declined to specifically say how many, the FMCSA told trucks.com that “some of the 330 ELD devices on the market do not meet the technical specifications for data transfer used to show driving hours to law enforcement.” A majority of the manufacturers on the list no one has heard of, making them suspect. The low-quality ELD devices have caused many problems throughout the trucking industry. Drivers are having problems with the device not accurately tracking the hours they drive, mileage, or their location. These miscues can lead to penalties down the road. The frustrations with the ELD devices have even caused some drivers to quit. In an extreme instance, a device caught fire in a driver’s cab causing $1,900 in damage. While the previously mentioned example isn’t common, additional costs due to sub-par devices are. Numerous organizations purchased ELD devices for their fleets and had to replace them with a new brand after they realized that they were faulty or unreliable. The FMCSA needs to put requirements in place for them to inspect devices for validity before they are released out into the market. Law enforcement was under-trained in enforcing the regulations, leading to violations that had no merit. File transfers are a big issue when drivers are inspected; some officials can’t tell the difference between an ELD and an AOBRD, and write up drivers that have an AOBRD when they couldn’t perform a file transfer -- an action that isn’t required by an AOBRD. The false violations are also adding to drivers’ and organizations’ operating costs, in addition to the faulty devices. Hopefully, the ELD mandate will be smoothed out. The FMCSA is already proposing changes to the HOS rules to help alleviate some of the pain points that drivers and organizations are feeling. Want to help combat the cost of ELD devices? Vertrax offers solutions to optimize and streamline your organization, increasing your bottom line. Contact us today to see how we can help you!